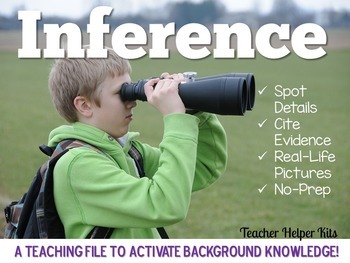 Looking for a new way to teach how to make inferences? 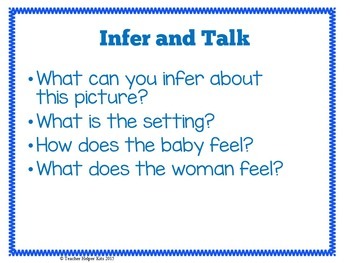 This teaching file includes step by step instructions and real life pictures for students to practice inference. 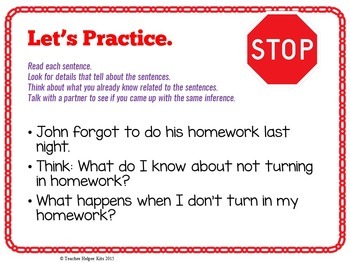 No-Prep, No-Print, Display from your smartboard and teach! Also includes two printables for interactive notebooks. Look at the preview file to see the teaching unit.